Make your leadership skills sweat by testing yourself with our Project Leader Workout and find out how you fare when it comes to being a great leader. Even the best leaders have areas to improve upon – the problem is knowing what these are! Our free workout challenges you to answer questions designed to identity your strengths and areas for improvement. Just provide a few details and we'll send you your free Project Leader Workout. Score yourself out of 50 for leadership priorities such as authenticity, teamwork, innovation, and education, and truly discover how effective you are as a leader. Develop stop, start, continue action plans for key projects skills that ensures you don’t just become an ‘email responder’ and instead lead from the front. Don’t be the only one to put your leadership through its paces. Our workout is a great resource to share among your entire team so you can develop a culture of exceptional leadership. If you want to inspire great leadership in your business, you need to lead the way be challenging your own practices. 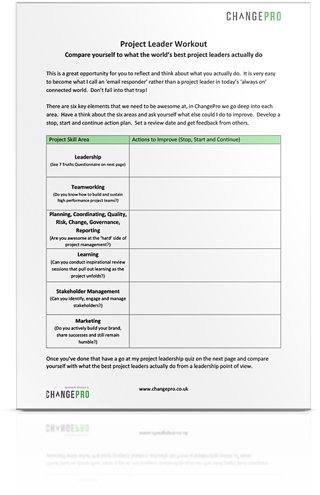 To this end, we’ve created a free Project Leader Workout so you can evaluate how great a leader you really are. As a leader, you’ll spend much of your time identifying strengths and weaknesses within your team, so you can come up with a strategy for making the most of your employees talents, while also helping them to develop. 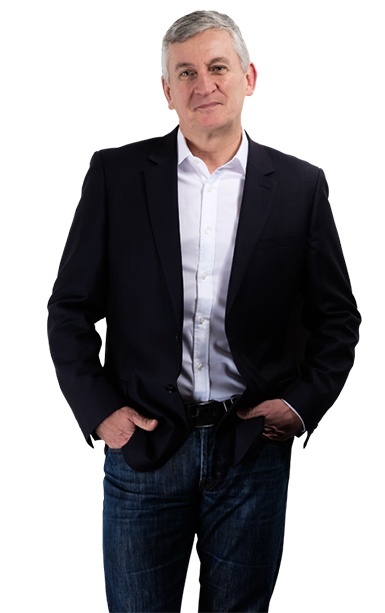 This professional growth is a vital aspect of any high-performance team, but when was the last time you turned that spotlight on yourself? If it’s been a while, our workout will help you identify your own opportunities for improvement and the strategy you need to achieve excellence. Download now and become a better leader today.